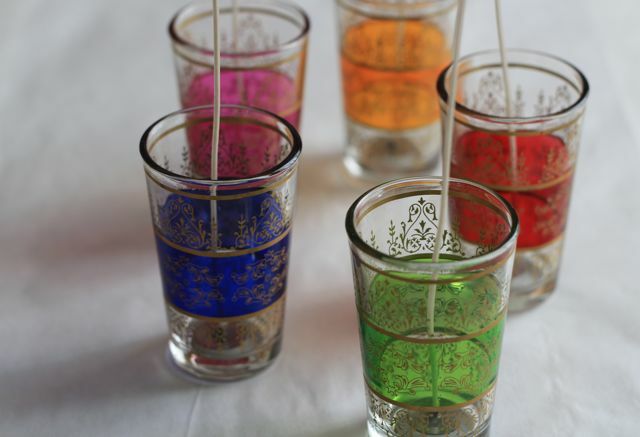 Create pretty Moroccan tea cup candles using fancy glasses or tea cups. 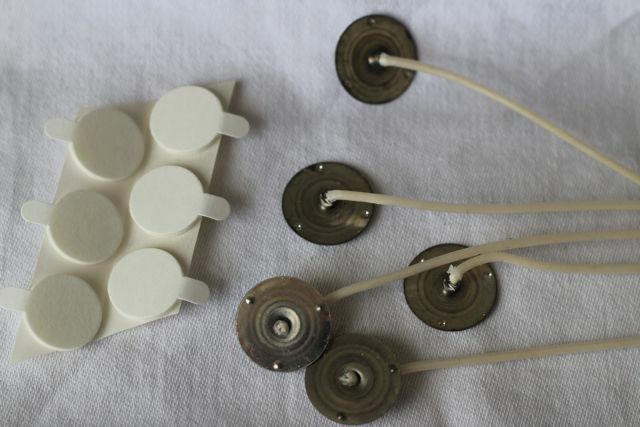 Double sided adhesive tabs and wicks and clips. 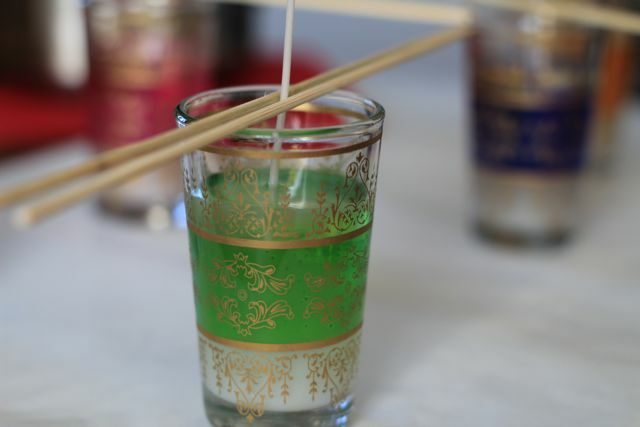 Attach a double sided clip adhesive to the bottom of the wick clip and then press in to the center of the cup. Cut wax into chunks and place in the smaller pot. Put the smaller pot in to the larger pan and fill it 3/4 full with water place on stove and cook on medium heat till melted. Once the wax is melted pour into cups. 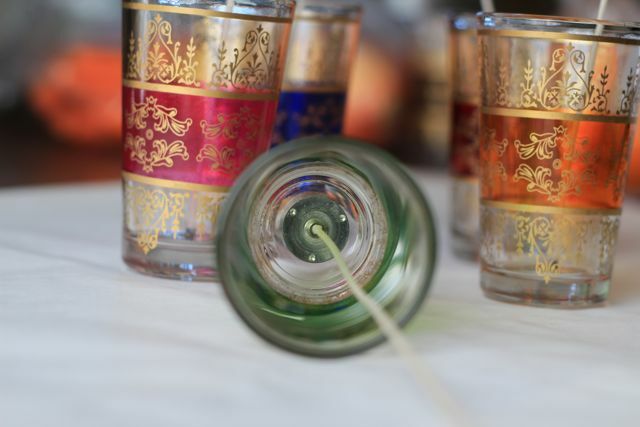 If the wick leans to the side place a skewer on each side of the wick to keep it upright. 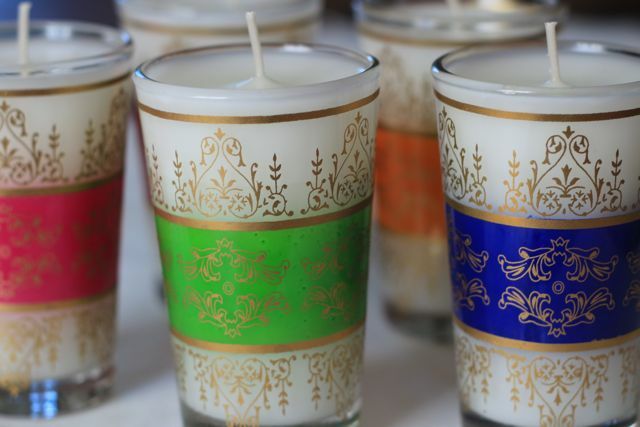 Let the wax set then clip the wick to 1/2”. Wicks attached to the bottom of cups. 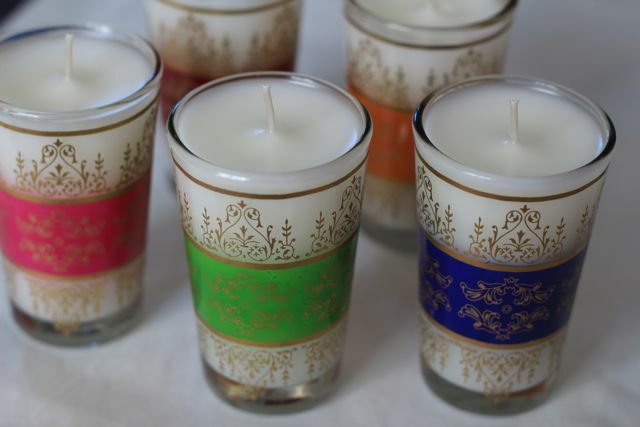 I used container wax for the tea cup candles because it is a wonderfully smooth wax and does not bubble. Once again, brilliant idea! Thanks Khadija! Nice 24 creative ways post. Thanks for including Ramadan Joy!